If a hockey god exists out there who is listening to me -- my only wish would be that Carey Price would be in goal for every playoff game against the Rangers. The idea that right now he is a top flight (let alone an All Star) goalie is laughable. He wandered away from the net to chase pucks into the corners like a puppy chasing a ball, blissfully unaware of his surroundings. Granted, he might be returning from the flu, but really, lay off the Nyquil before a pivotal game. The Rangers took just enough advantage of Price's frolics to come away with a 3-1 victory. Official recap here. While there may be no playoff god listening to my wish, the scheduling gods took mercy on the Rangers tonight for this most critical game. The Panthers, tied with the Rangers for the final playoff spot, were in Philly to face a motivated Flyers team trying to secure a 4th playoff spot from Carolina. Meanwhile, the Montreal Canadiens came into the Garden after letting Dany Heatley steal a 3-2 regulation win for Ottawa in Montreal the night before when he scored two third period goals within 38 seconds for the victory midway through the 3rd period. Meanwhile, the Habs also lost 2 defensemen (Matt Schneider, who has been instrumental in the improved Montreal power play, and Anrei Markov) so they were ripe for the taking. The Rangers, again showing a decided lack of interest or killer instinct, slept walk through the 1st period. The score was tied at 1 and the Rangers were outshot 11-10. The rest of the way the Rangers capitalized on the shorthanded, weary Canadiens by outshooting them 33-15 over the final 40 minutes. 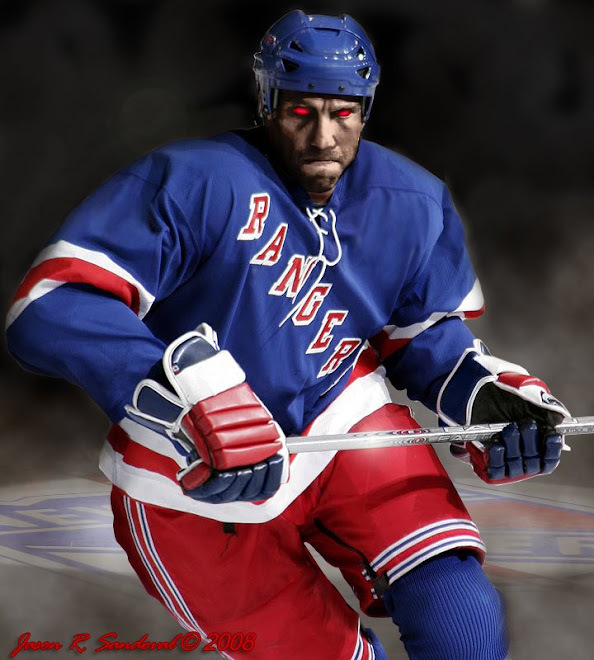 Each of the Ranger goals came from opportunistic plays made by forwards. They were not pretty but they were the fruits of using the body and athleticism certain Rangers have. The first and third were scored by Chris Drury. 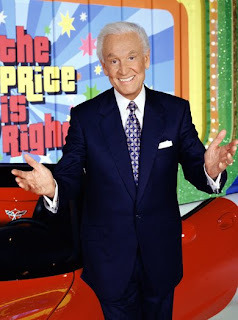 In the 1st period, after a puck came loose to Price's right side, Drury pounced on it with a lightning quick shot that caught everyone by surprise, including Price. No thinking, just reacting by Drury. Drury flicks his second goal of the game past Price. In the 2nd period, Avery followed a puck behind the boards and rattled Price who (not for the first time in the game) coughed up the puck by trying to clear it through the unguarded slot. Nik Antropov, all 6'6" of him, dove and flicked the puck into the unguarded net before following it in himself. The 3rd goal came off some similar hard work. Ryan Callahan brought the puck up the right side of the rink, was stripped of his stick and then kicked the puck forward to Markus Naslund in the neutral zone. The Rangers' rush did not lose momentum as Naslund continued over the blue line and then hit Drury in stride with a centering pass that Drury deflected past Price for a 3-1 cushion. The Rangers outshot the Habs 15-4 during the 2nd period (and 44-25 overall). Quite honestly, thanks to a couple of posts and other shots that somehow did not find the open net, the Rangers could have had 5 0r 6 after 2 periods. But it was sufficient. 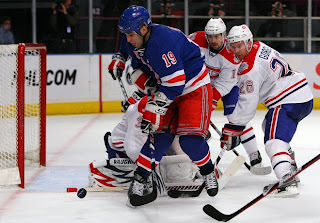 Antropov scores after his and Sean Avery's diligent efforts. Henrik was good in the net when he needed to be. The only Canadien goal came on a nifty backhand by Dandenault to tie the score in the first with 3 minutes to go. The Rangers shut down the leg weary Habs for most of the 2nd and 3rd periods, and Henrik came up solid several times in the 3rd when the Canadiens did exert pressure. The Rangers defensemen overall had a mediocre game. They were beaten to numerous pucks, they made some awful decisions with cross-ice passes or were unable to clear the zone with passes. For a good portion of the game, they failed to take the body, which is an absolute no-no considering the shortage of defensemen the Canadiens had and their overall exhaustion from their game the night before. This type of play could be costly against a more rested, skilled team -- let's say Boston and Washington -- the Blueshirts' 2 potential first rouund foes, to be precise. Florida lost against Philadelphia 2-1. They are 2 points behind the Rangers in the battle for 8th place. The Rangers trail the Canadiens by 1 point. Each team has 2 games remaining. The Canadiens may rue Monday's loss to Ottawa if they are outside looking in next Sunday. If the Rangers win one more game, they are in because Florida loses on tiebreakers. 2 points derived from OT losses will not do the trick if Florida wins its remaining 2 games outright (at Atlanta and at home v. Washington). The Rangers could be out if they lose both and Florida wins their games against Washington and Atlanta. Or the Rangers could overtake Montreal, who have to play at Boston and then host Pittsburgh. So with 2 games remaining, the Rangers could easily be 7th, 8th or 9th in the East. where he had gotten separation. No idea why he was reluctant to shoot. One thing is clear -- Win one game and the Rangers are in. It's that simple. Ryan Calllahan won the 21st annual Steven McDonald Extra Effort Award (has it been that many years?) and deservedly so. He is the team's MVP in the sense that he showed up to play in nearly every game. And I leave you with the stirring words that Office McDonald spoke to the appreciative crowd last night: “I’m thinking that the rest of the NHL thinks our season has come to an end. I say no freakin’ way." I've learned not to argue with heroes. I'm glad we came out of this game with a win. I was having fits in the first with Girardi uncharacteristically coughing up the puck and committing careless give aways. I think Staal had one too. Between them and that damn linesman that got the way of 2 clearing attempts on the same shift, my head was about to explode from yelling. It wasn't a perfect game by the Rangers, Ho-Hum 1st, Fantastic 2nd and hung on a little in the 3rd.Bottom line a win and a big one at that. Thursday against the Flyers a win and the Rangers are in. It's that simple. Damn right that first period had everyone on edge...whew. Agreed on the win, Kots...very simple indeed. "He wandered away from the net to chase pucks into the corners like a puppy chasing a ball, blissfully unaware of his surroundings. Granted, he might be returning from the flu, but really, lay off the Nyquil before a pivotal game." Priceless! Since I live in Habs dominated land, I let some of those fans read that....they actually agreed and laughed,hard! holding my breath, wondering which Rangers squad appears tonight?! !